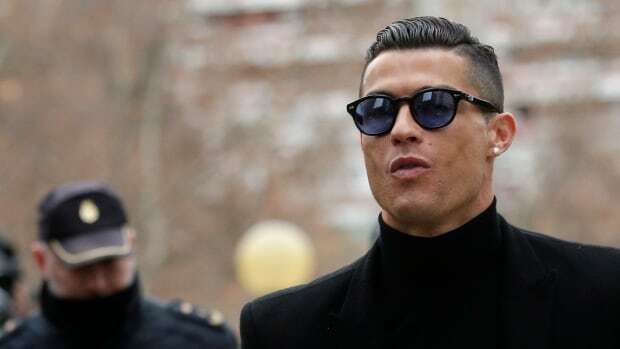 Portuguese soccer star Cristiano Ronaldo was fined almost 19 million euros ($ 28.7 million) for tax fraud on Tuesday but will avoid serving a 23-month prison sentence after agreeing to a deal. The 33-year-old Juventus forward, who played for Real Madrid from 2009-18, agreed to settle the case by paying an 18.8 million euro fine and accepting a two-year suspended jail sentence. His court appearance lasted about 15 minutes as the five-time world footballer of the year only needed to sign off on the previously settled agreement. Earlier, Ronaldo's former Real Madrid team mate Xabi Alonso walked in to face own tax fraud case with his hands deep in his suit pockets. "Yes, all good," was his only response to reporters' questions.